With the rumors circulating that Ronda Rousey’s run in the WWE was possibly coming to end after Wrestlemania comes the question: What if? What if… The WWE is stupid enough to not give us The Baddest Woman on the Planet vs The Man in one-on-one action? What if The Queen doesn’t get her desired rematch for the RAW Women’s Belt? What if? This got the ol’ noodle going on with a lot of, “what’s ifs”? The WWE has a noted history of dropping the ball with feuds. A lot of promotions do, to be honest. I mean, WCW – at one point h- ad the most brand names in the late 90’s. Whether it be egos or creative control differences, they dropped the ball on a lot of potential dream matches. So, here is my list of the best feuds wrestling promotions dropped the ball on. This is in no particular order because any one of these might have been big draws if booked correctly. Also, you might see the same wrestlers stars on here multiple times because they had such an “IT” factor their not regulated to one type of match or any type of a specific feud. 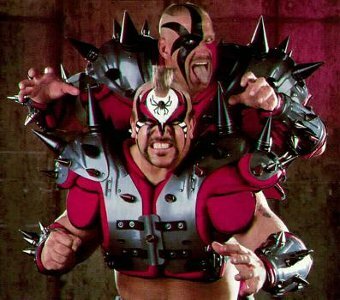 The Dudley Boys against the Road Warriors – Arguably the greatest tag team of all time against the most intimidating tag team of all time. The Dudley’s are the only team in the world to win the ECW, WWF, and WCW tag team titles (I know it was during the Invasion for the WCW titles, but it counts. Let’s not Benoit that fact). The Road Warriors are the only team to win AWA, NWA. WCW, and WWF tag team gold. This was would be a match of sure will and could easily be one for the record books. The Lionheart Chris Jericho versus Goldberg – Ralphus aside, WCW would have been smart to capitalize on the momentum Jericho drew from the fans mocking Goldberg and the win streak. This would not have been a classic match because Goldberg was billed to seek and destroy. But can you see Chris doing a Regal job on Goldberg and getting him to wrestle? What could have been. Damn you WCW! The Stinger and Ultimate Warrior – Instead we got a One Warrior Nation and the nWo. 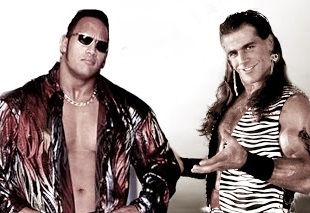 Former tag partners facing off ala the Rockers? This could have been gold again if booked correctly. But Warrior was hard to book because he loved to take his ball and run if he wasn’t winning. So maybe this one isn’t a so much as much as a fantasy match up. I still think it would have been a draw. Also I believe Sting would have had an upper hand here, he wrestled the likes of Flair, Blanchard and Anderson, Warrior was only at his best in the ring with Rude or others that could carry him. Mr. Wrestlemania HBK taking on The Rock – Can you see this match up? Can you imagine the crowd reaction? Michaels even in his 40’s could elevate his game to level’s that were unheard of. The Rock…he’s the damn Rock. Fans flocked to see him or hear him. This would easily be a million-dollar main event for any promoter. My only request for this is DX stays out. We saw the Corporate Rock feud with Triple H, and we don’t need that with HBK. Nigel McGuinness against John Cena – Okay, Nigel would destroy Cena in a pure wrestling match. Nigel knows more moves than John Cena thinks exist in wrestling. But this is more of a billing of the best in the first decade of the 2000’s against the WWE poster boy. Love him or hate him, Cena and McGuinness would tear the damn house down, absolutely no question in my mind here. This would be the original Punk vs Rapper match. Chyna stepping in the ring with Beth Phoenix – The 9th Wonder of the World matching up with the Glamazon. I’m not saying this would have been a main event, but can you see them working each other. Beth and Chyna both had reputations for being stiff in the ring which is why the WWE wasn’t afraid of throwing them in the ring with the men. I think this would be an interesting match of pure strength. 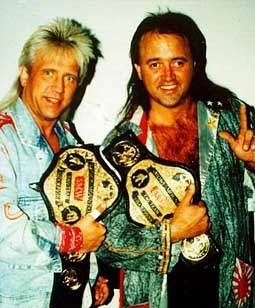 The Midnight Rockers vs The Rock ‘n’ Roll Express – I remember reading in a magazine how they were so similar, that this would be a match that would lead the tag teams in wrestling into the future. But one was in the NWA and the other was in the AWA. We never got a chance to see these two team cross paths. Maybe that is a good thing or we wouldn’t have gotten HBK the show stopper? Who knows? The Nature Boy squaring off against Hulkamania for the World Championship – This could arguably be the biggest money draw in 1991 and the WWF f’ed it up. A couple house shows show cased Flair vs Hogan, but we never got it for the Gold or on a PPV. Vince McMahon left a ton of money on the table with not giving the fans this one. A couple years later this move damn near put the WWF out of business because WCW took advantage of something Vince didn’t and gave the fans Flair vs Hogan, 2 years too late. Speaking of Hogan and missed money – Stone Cold vs the Hulkster. I get why Vince went with the Rock vs Hogan. But I’m sorry, the smart money would have been on Stone Cold vs Hogan in Toronto or maybe get the nWo against the three faces of the WWE with Taker, Rock and Stone Cold? Either way, Stone Cold was nearing his end, and against the WWE left buckets full of money on the table not giving this to the fans. They had a home made build up starting with Stunning Steve mocking Hogan in ECW. That could have waltzed them right into a big money match. But it was not to be. 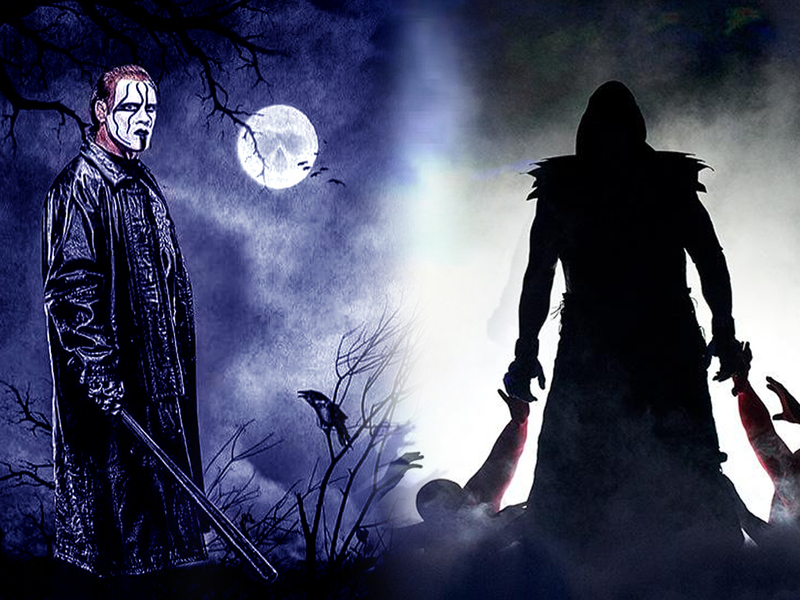 The big regret, in my opinion: Sting facing the Deadman – The WCW phenom vs the WWE phenom. In my opinion the two faces that ran the places (Sorry AJ, but that quote is too good to not use here). These two would have absolutely blown the roof off any arena in the world. They didn’t have to put on a 5 star match, the fact that they would be facing off in the ring together, a sit up a Woooo, a Stinger Splash, A walk of the ropes and shot to the arm. Scorpion Deathlock, Last Ride, Tombstone, oh I get chills just thinking about it. Thanks for ruining this one Vince and Rollins. Stupid turnbuckle bombs. And… the big one is the Invasion – Let’s face the music here people, we got a watered-down crap Invasion. If the WWF has Goldberg, Nash, Hall, Hogan, Sting, Luger, Bischoff right off the bat. The Invasion would have lasted more than 6 months and might have carried Raw WWE into Smackdown WCW and new feuds just in time before the attitude era ended. The main event of the Survivor Series Austin, Rock, Taker, Angle and Jericho vs Sting, Goldberg, Nash, Hogan and Booker T or any other possible combination would have been solid gold. Alas, we got What? What?? ?, Milk-O-Mania, and a lot of good talent not trusting Vince. And that cost the fans a lot of good wrestling. So, there is my list of matches we missed out on. It’s inevitable that there will be more added to this list down the line. But as history stands right now the WWE has a chance to make sure one of them is not added to this list. The ball is in their court.